Economically, it is much more efficient to control a couple of plants as opposed to a couple of acres of plants. Environmentally, if a pesticide is required to control the new invasion, much less is used to control the target species if it is treated before it has spread too far. Stopping a new invader before it establishes in the ecosystem can reduce the potential for further spreading and reproduction of the invasive population as well as negative transformative impacts to the ecosystem; which are often associated with invasive species. Rapid responses can alert other concerned entities to the location of the infestations so that they can begin focused prevention and surveying efforts. The EDRR management philosophy works whether the area is your yard, your county, or your state. EDRR programs are a great opportunity for the public to become involved in the detection of new invasive species. Council established an EDRR Committee. The committee consists of members of each of the six Wyoming Weed & Pest Council areas, the Wyoming Department of Agriculture’s Weed & Pest Program Coordinator, the Cooperative Agriculture Pest Survey Coordinator, the University of Wyoming’s Extension Weed Specialist, the State Mapping Coordinator, as well as many volunteers and at large members. http://www.weedcenter.org/news/app.html to learn more or to start helping with EDRR efforts. 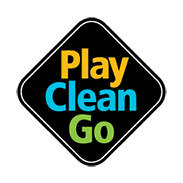 Supporting EDRR programs and using it as a management strategy helps save time, money, and most importantly it helps protect the integrity and health of your ecosystem. 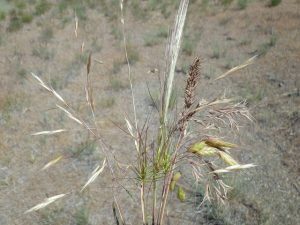 Ventenata, commonly referred to as wiregrass, is a winter annual grass that is native to central and southern Europe, north Africa, and eastward to central Asia. Ventenata will reduce native perennial grass and forb biodiversity, altering native community structure and ecosystem functioning. 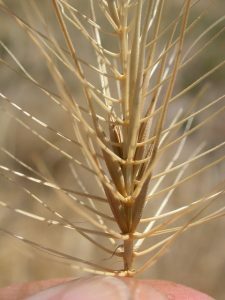 Medusahead, also known as medusahead rye or medusahead grass, is native to the Mediterranean Region. 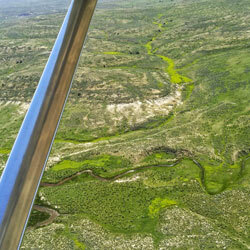 It crowds out native species and forage for livestock. 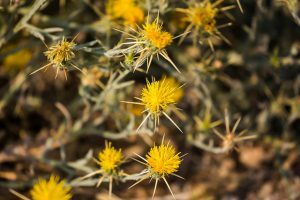 Yellow Starthistle, commonly known as golden star thistle, is native to Eurasia. 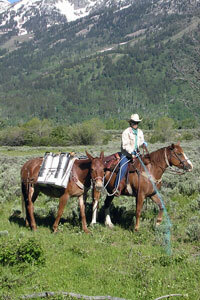 Introduced in the 1800’s, it crowds out native species and is toxic to horses. 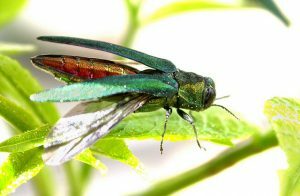 Emerald Ash Borer is a beetle known as Agrilus planipennis. The adult beetles do minimal harm, but the larvae disrupt a tree’s ability to transport water and nutrients.